CITECH students pursuing the Diploma in Accounting and Finance could become full-fledged chartered management accountants in three years after graduation. 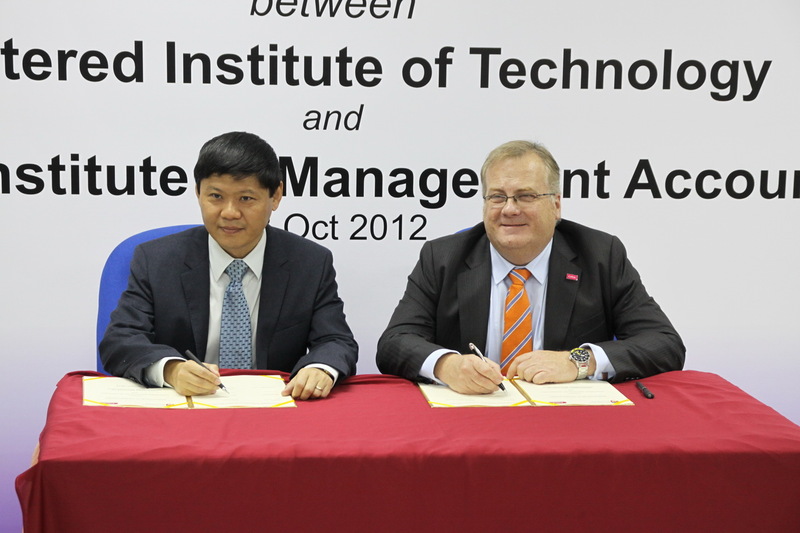 This is made possible with the MOU (Memorandum of Understanding) signed on 18 October 2012 between the Chartered Institute of Management Accountants (CIMA) and the Chartered Institute of Technology (CITECH). 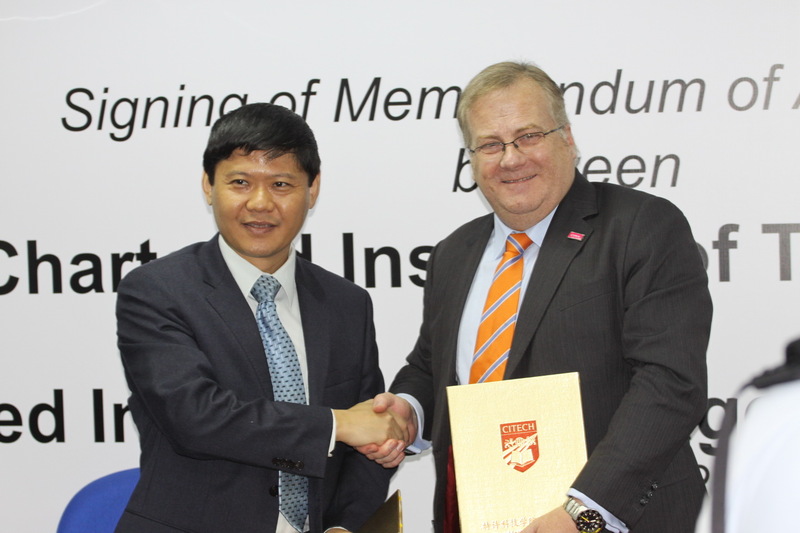 The MOU was signed by Mr. Andrew Harding, Managing Director of CIMA and Mr. David Li, President & CEO of CITECH. “CIMA is the world largest professional body of management accountants and we believe in training them to become business leaders of tomorrow,” said Mr. Andrew Harding, Managing Director of CIMA. Two of the world’s most prestigious accounting bodies, American Institute of Certified Public Accountants (AICPA) and CIMA, have formed a joint-venture to establish the Chartered Global Management Accountant (CGMA) designation to elevate the profession of management accounting. The designation recognises the most talented and committed management accountants with the discipline and skill to drive strong business performance. 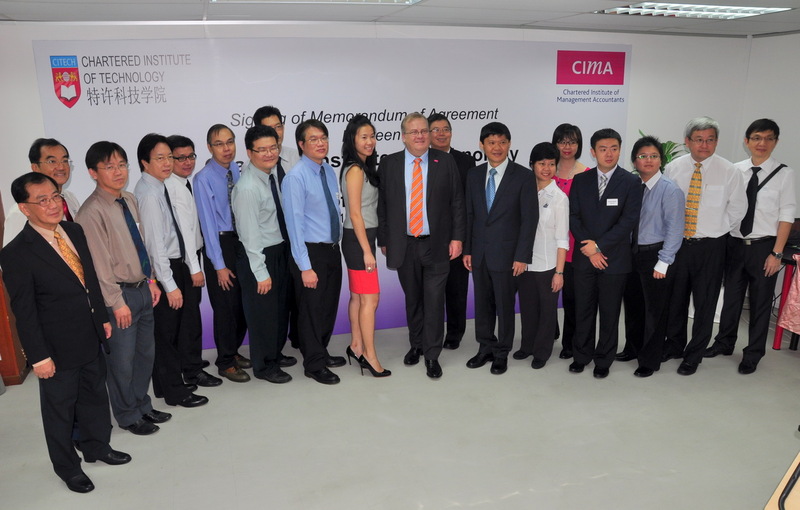 “In CITECH, we believe that the CIMA programme will add value to all our current and future Accounting and Finance students in Singapore and China. Our students will be professionally prepared and certified. In addition, with the internationally recognised CIMA qualification, our students will be professionally remunerated in their job in future. 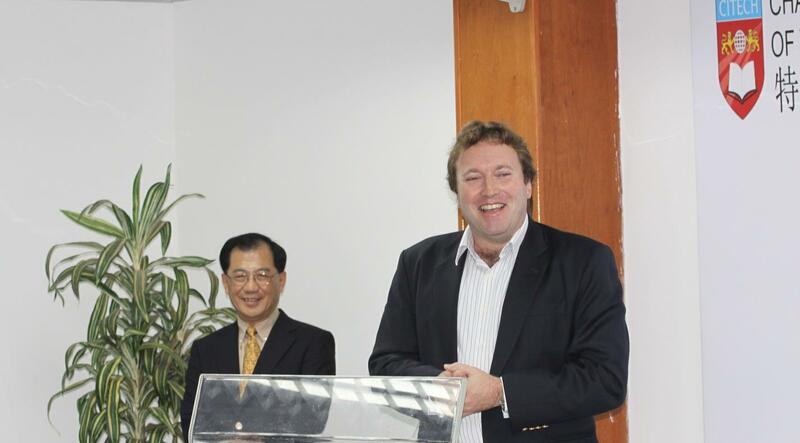 This Memorandum of Understanding that was signed will plant the seeds for a fruitful partnership allowing CITECH to grow together with CIMA,” said Mr. David Li, President & CEO of CITECH. When a student graduates from CITECH with a Diploma in Accounting and Finance, CIMA will grant exemptions from all the Certificate Level papers and some papers at the Operational Level. This collaboration will see CITECH students from the Diploma in Accounting and Finance graduate with the CIMA Diploma in Management Accounting simply by completing CIMA’s Financial Operations paper (F1 paper). 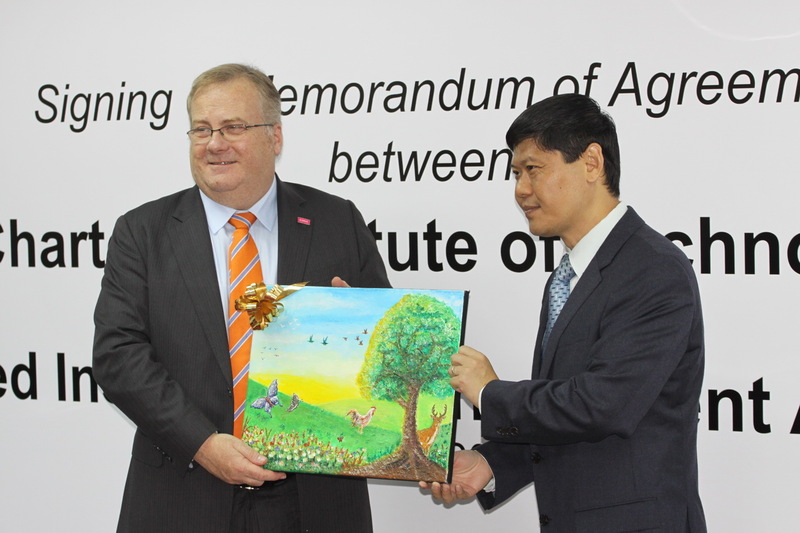 Mr. David Li, President & CEO of CITECH presenting a token of appreciation to Mr. Andrew Harding, Managing Director of CIMA, after the signing ceremony.